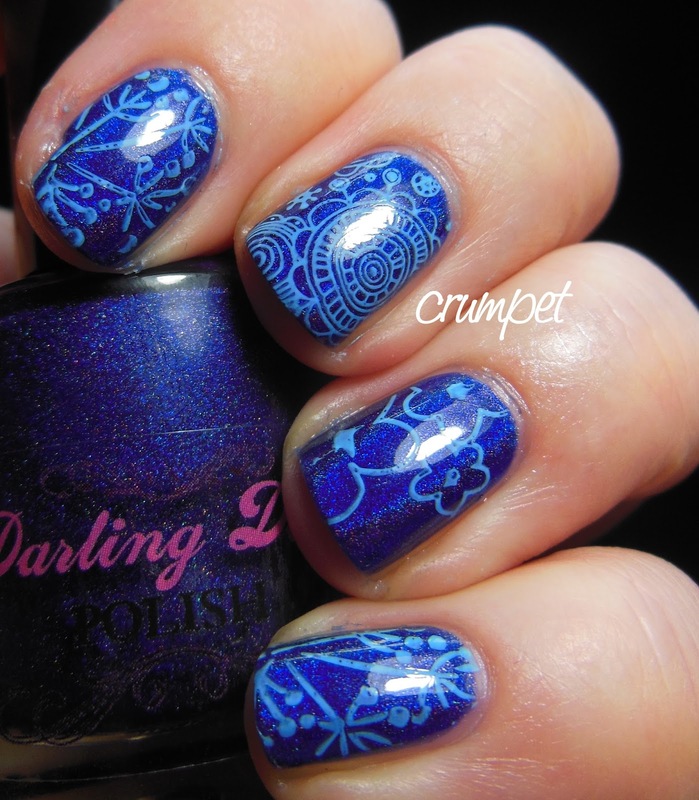 And welcome back to Darling Diva Polish Week. 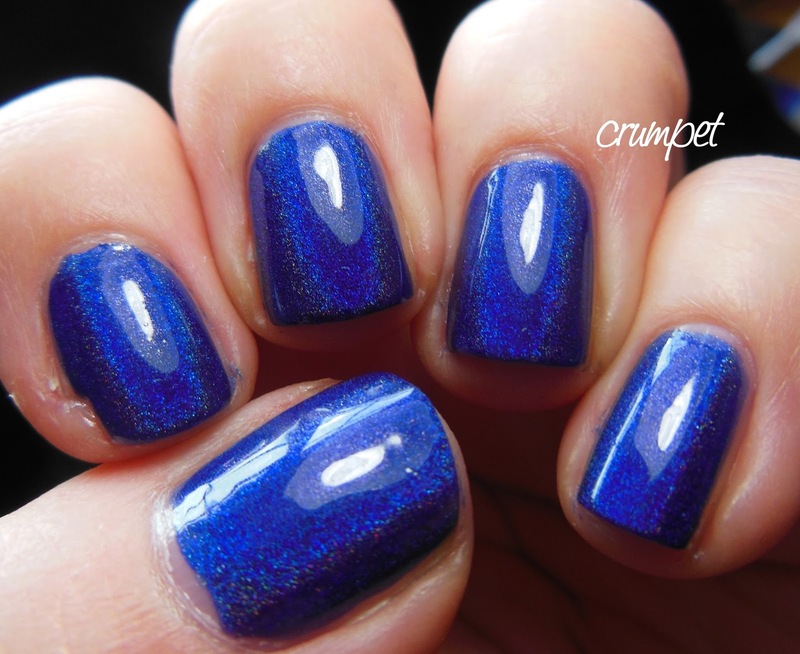 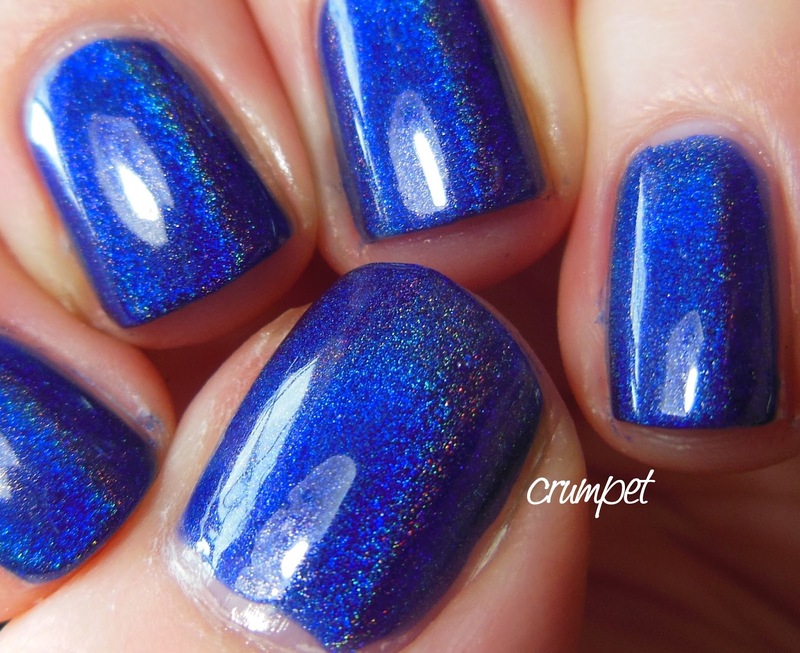 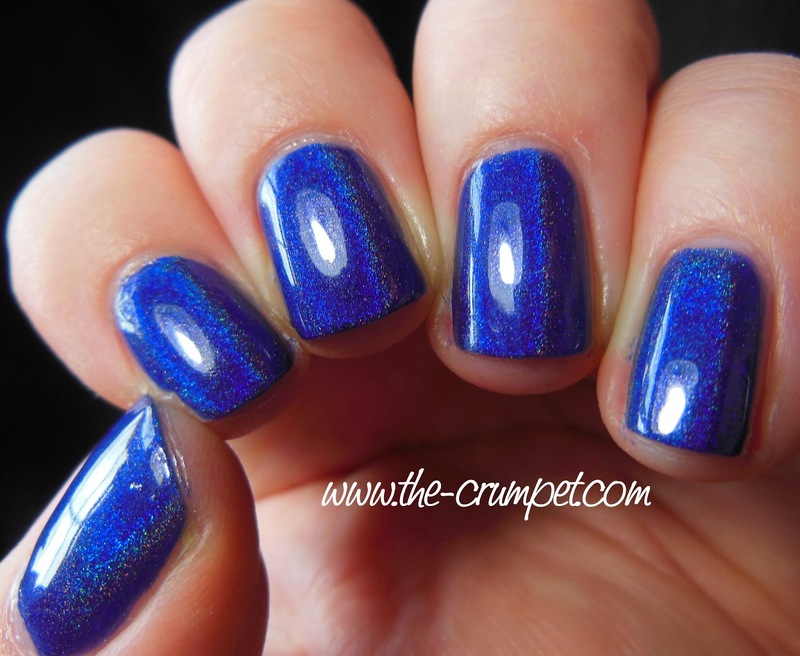 Today I have one of my very favourites of the 12 polishes in the White Witch Collection - Nightbird. 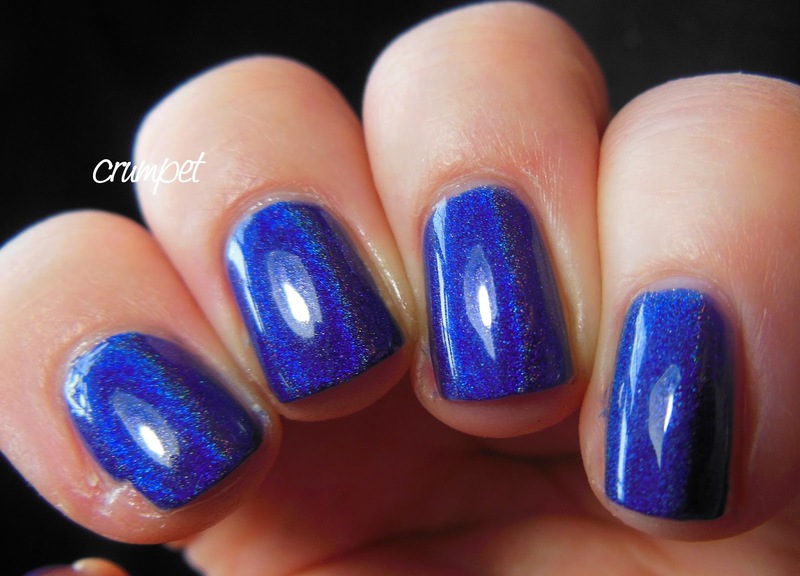 Nightbird seriously took my breath away when I wore it. 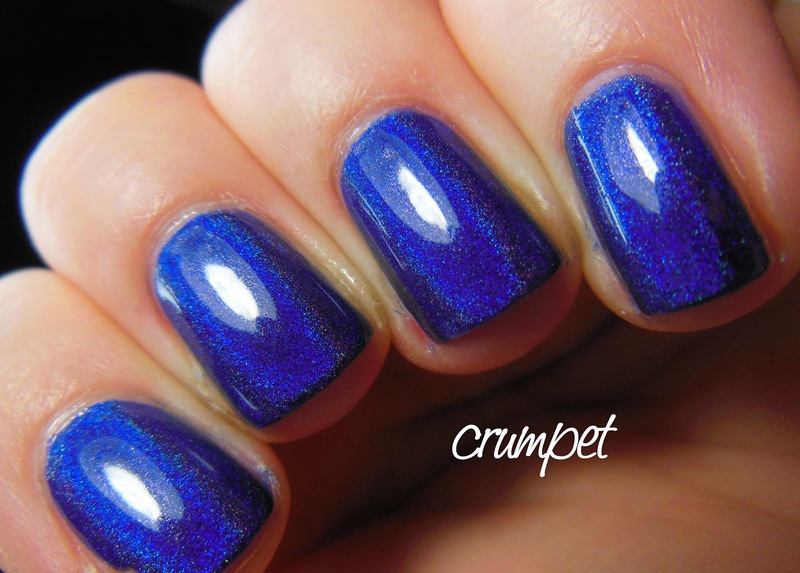 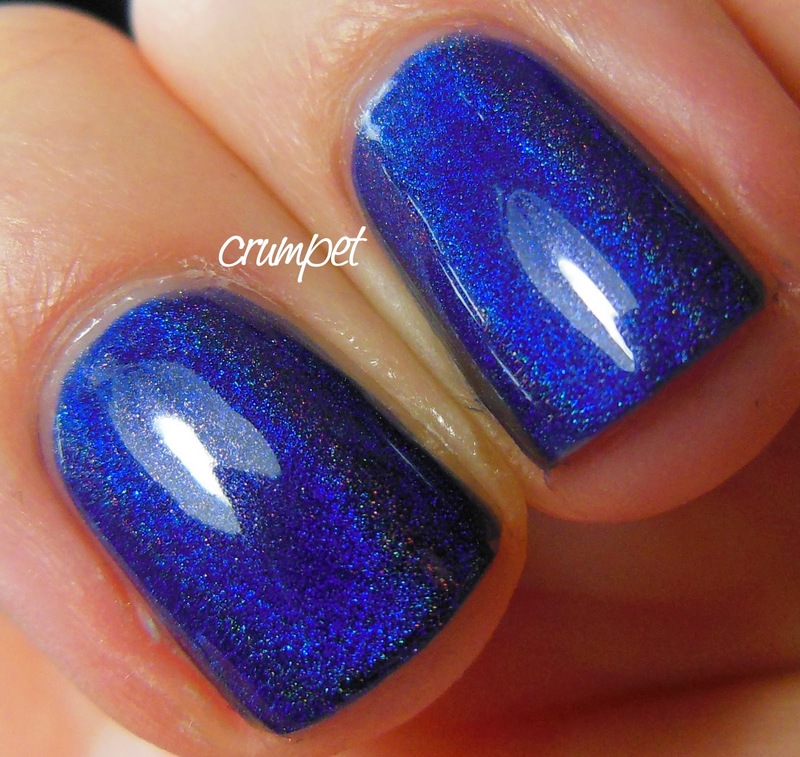 It's not quite navy, not quite sapphire, but it's blue, it's intense, it's fathomless and it's amazing. 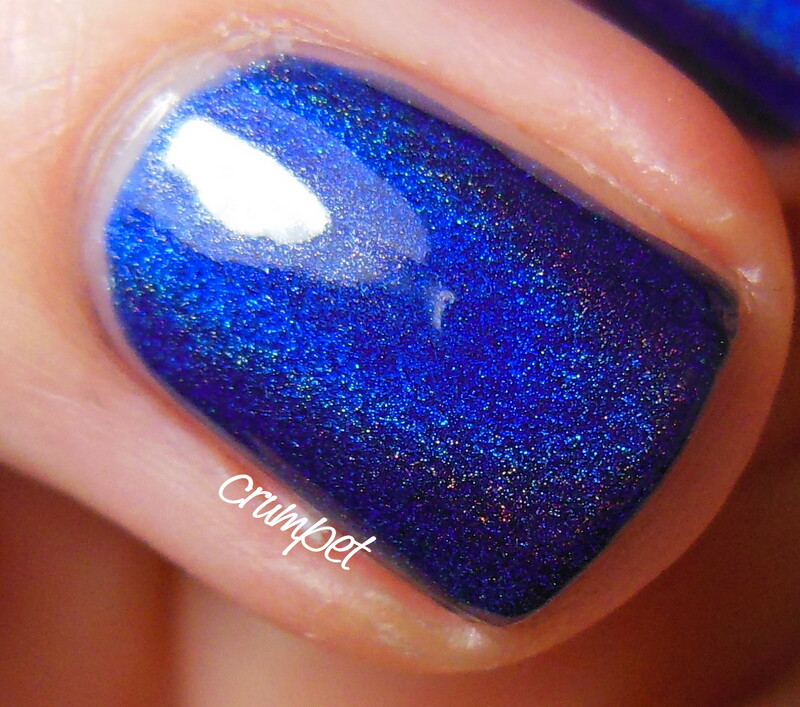 The pigmentation in this colour is incredible. 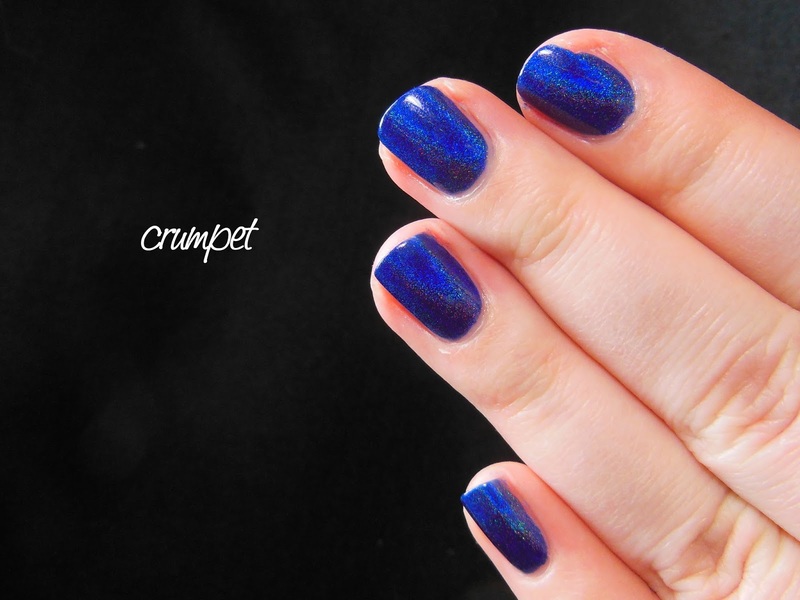 It is so lush and deep, like velvet. 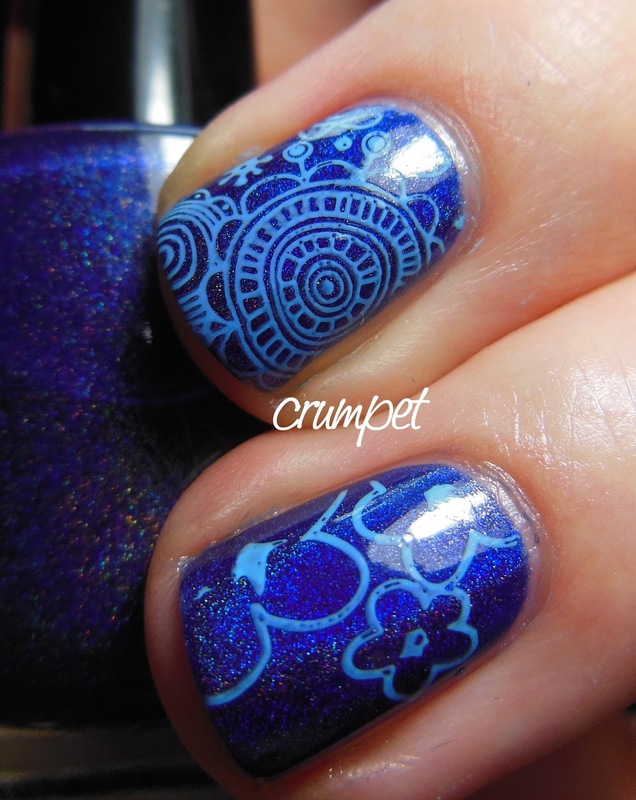 Truly mesmeric, I couldn't keep my eyes off this one. 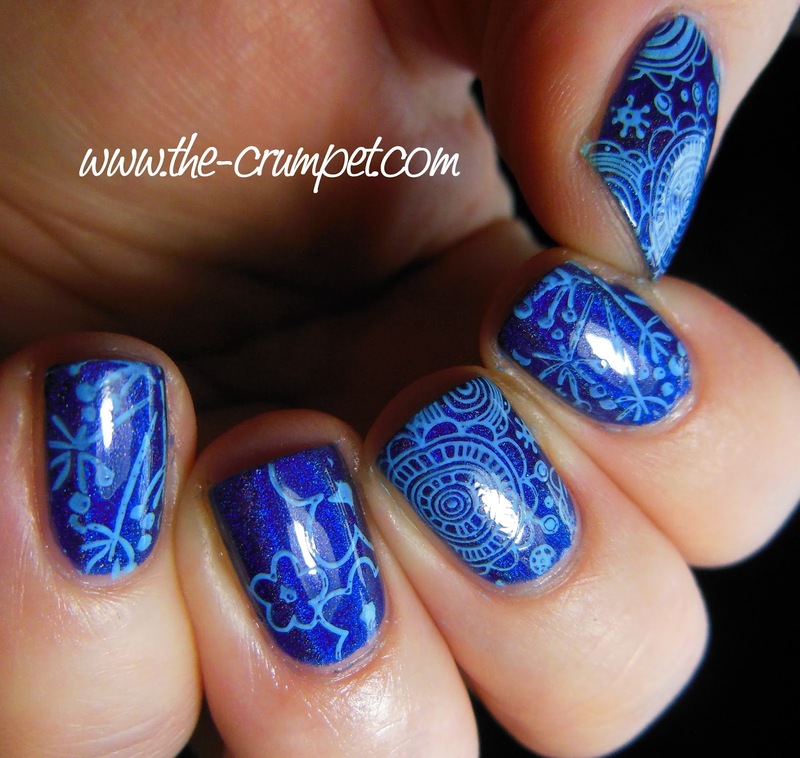 I then stamped using a variety of images from MoYou plate Pro 14 and a Konad pale blue polish. 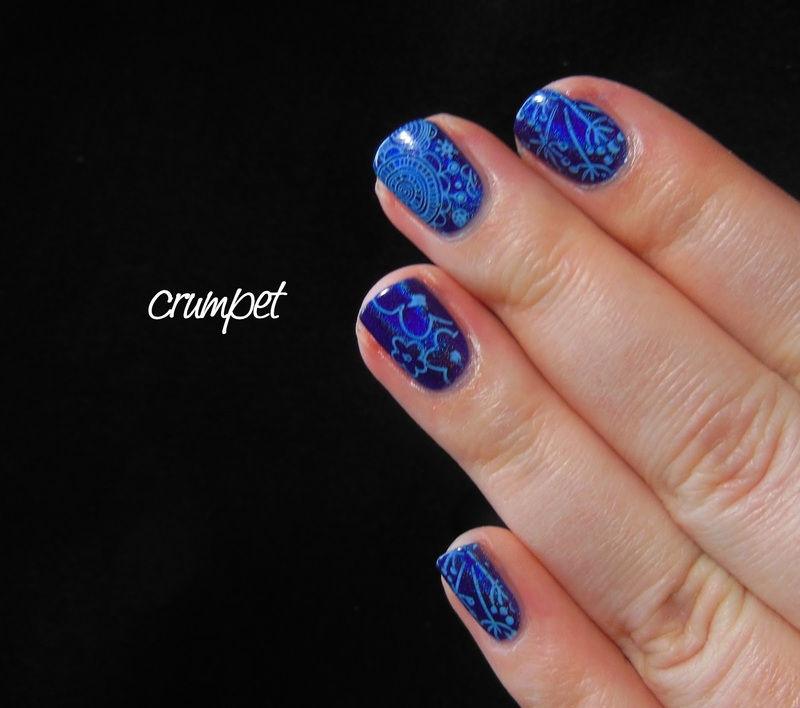 I utterly love the design on my middle finger - there's a level of intricacy to it that's really special, yet not overpowering. 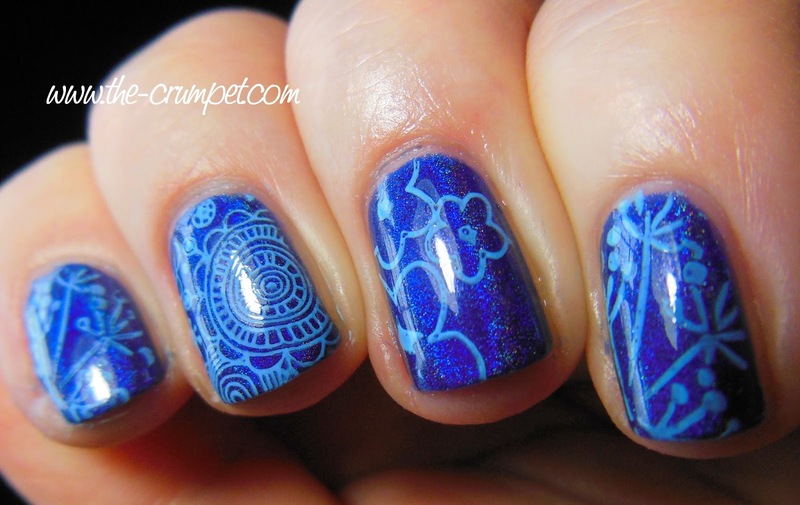 I also love the cartoonish flowers on my ring finger. 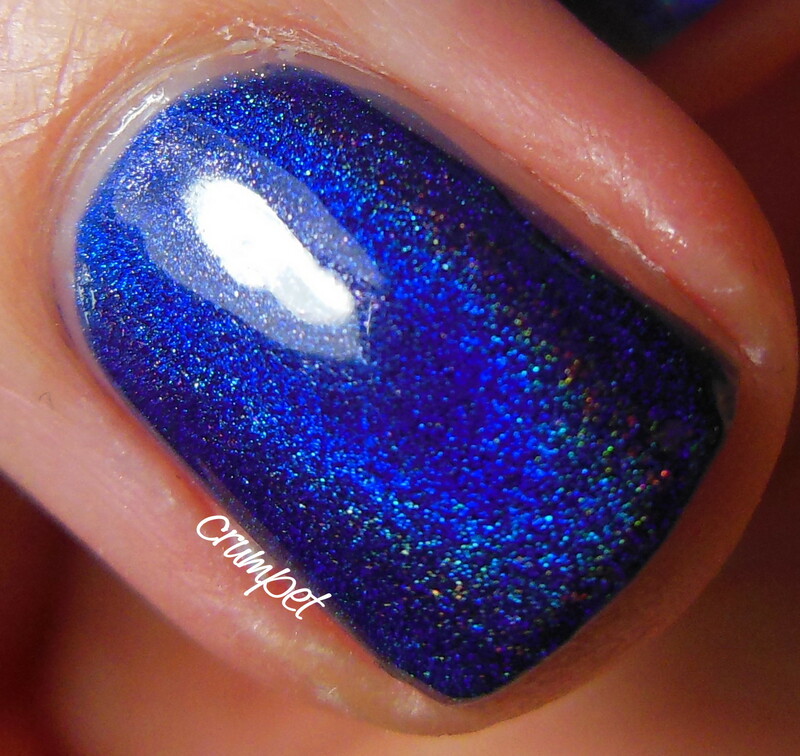 It's interesting (and sad) how the stamping diminishes the almighty power of Nightbird. 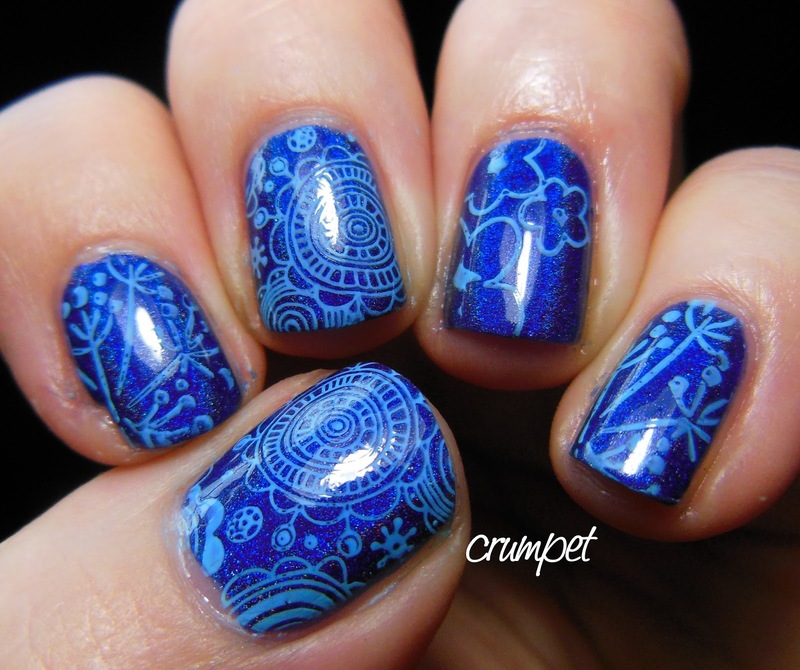 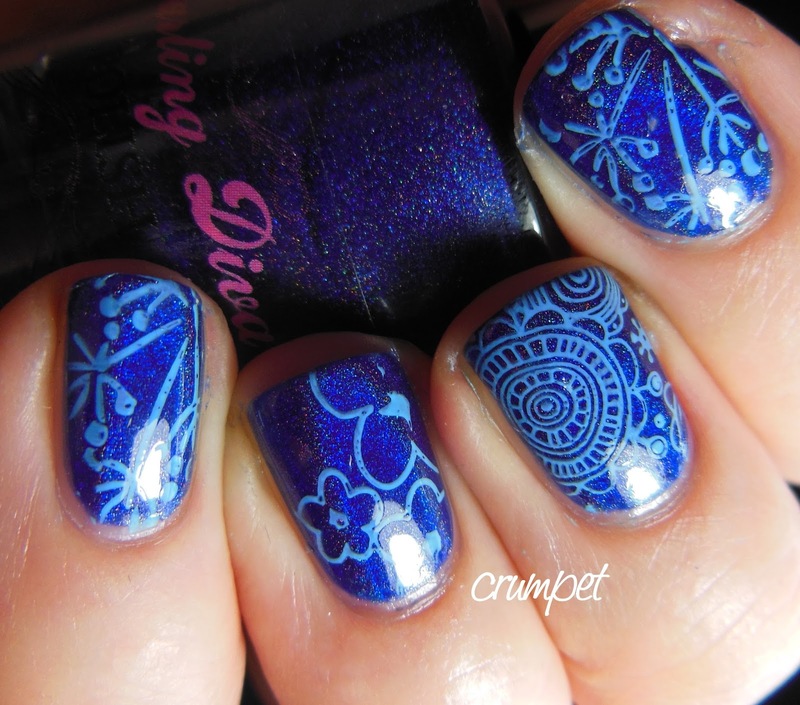 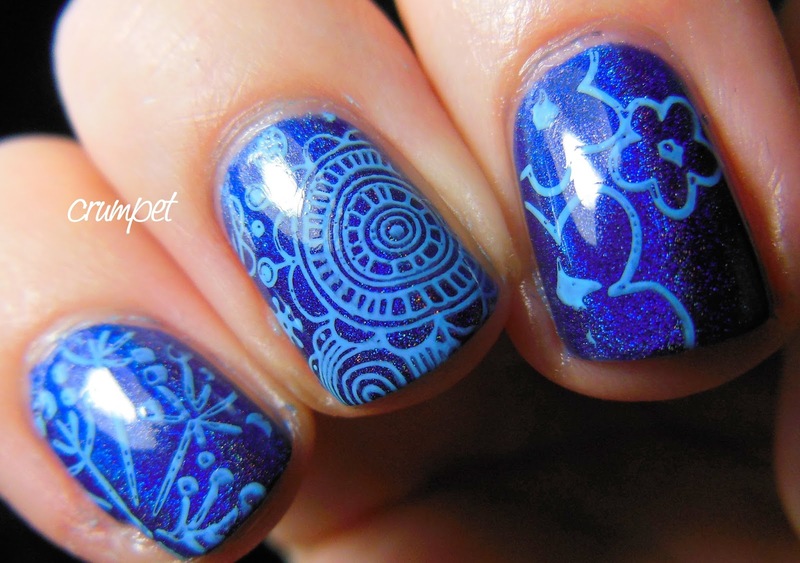 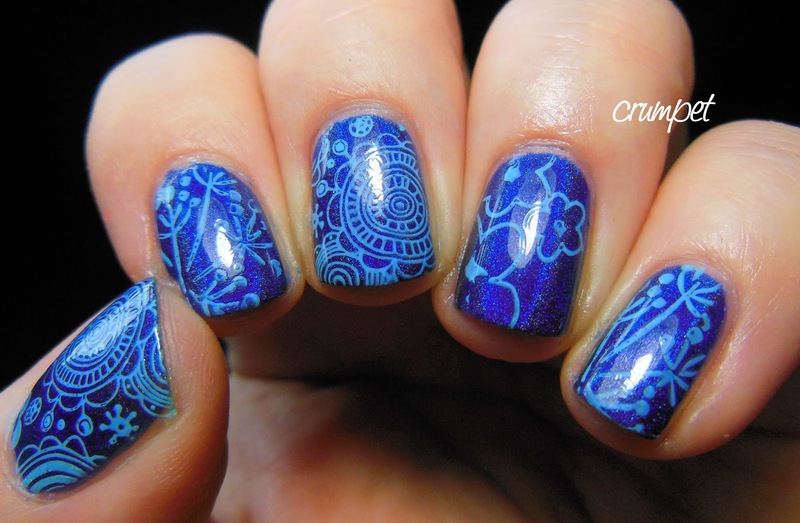 Nevertheless, I think the stamping looks cool - do you? 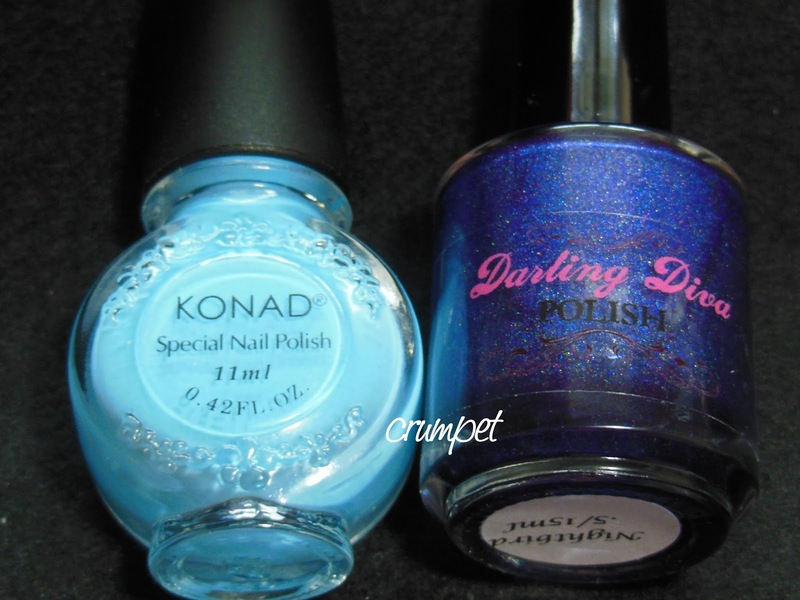 These polishes were sent to me for an honest review and can be purchased HERE.